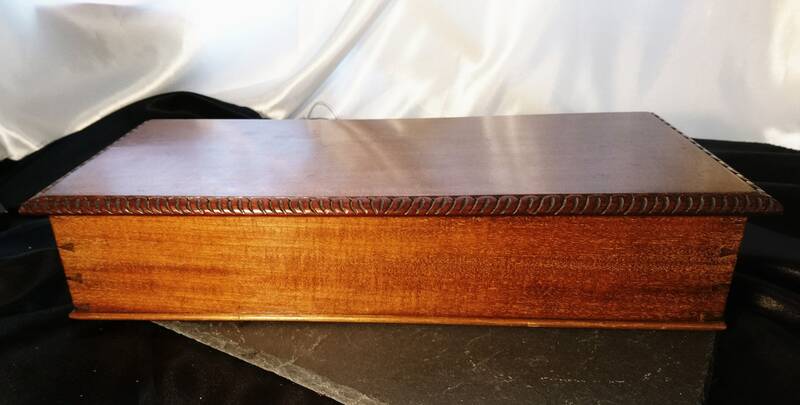 A fine English mahogany box from the later half of the Victorian era, c1890's. 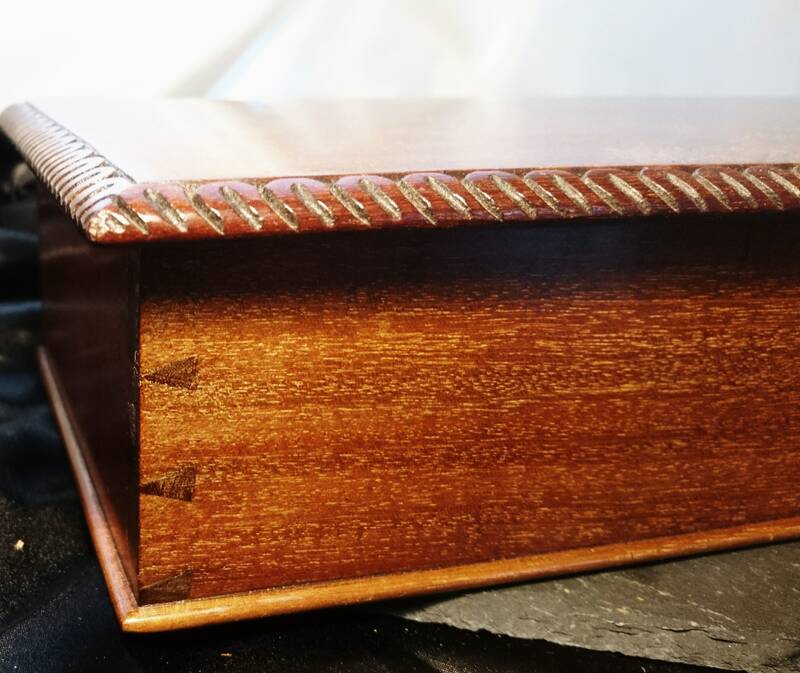 It has a decorative carved gadrooned edging around the rim of the lid. 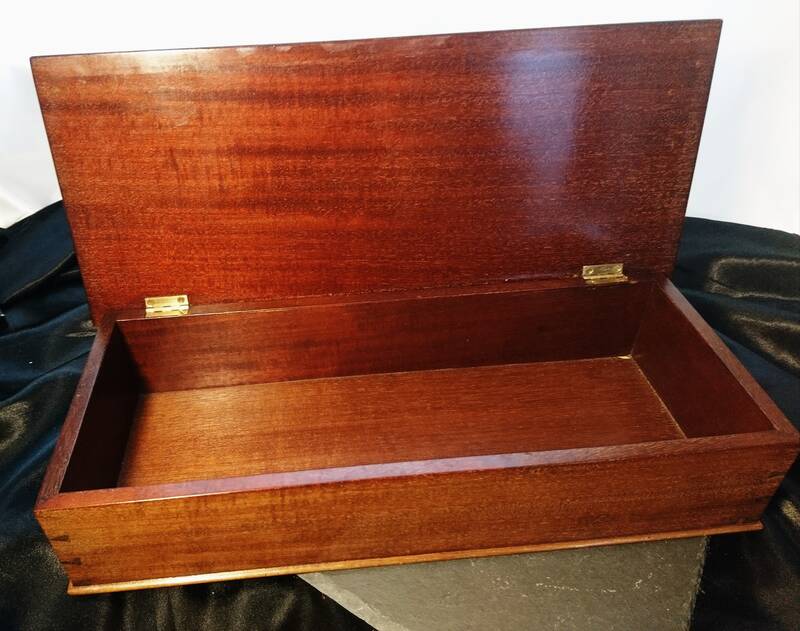 It has a hinged lid that opens and closes well and is cut from a nice solid piece of mahogany with a smooth polished finish, the attractive dovetail joins can be seen on the corners. 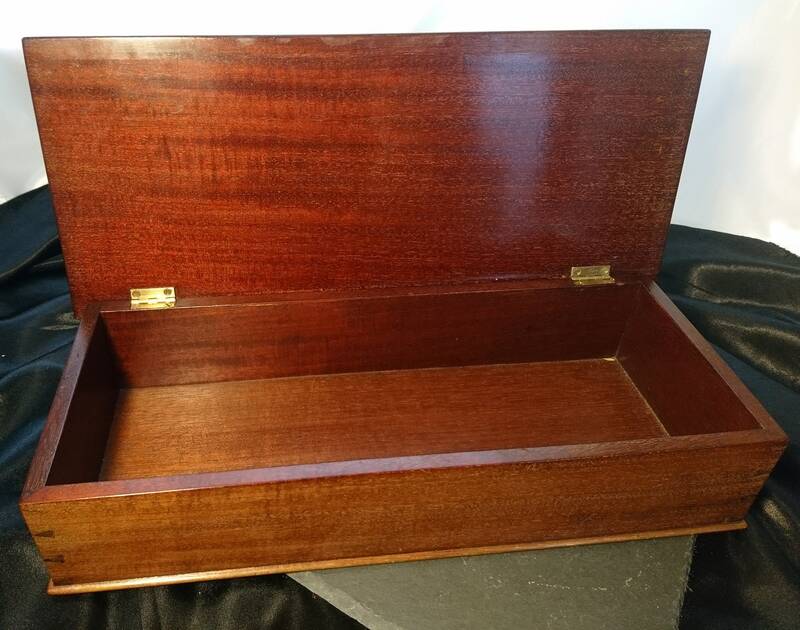 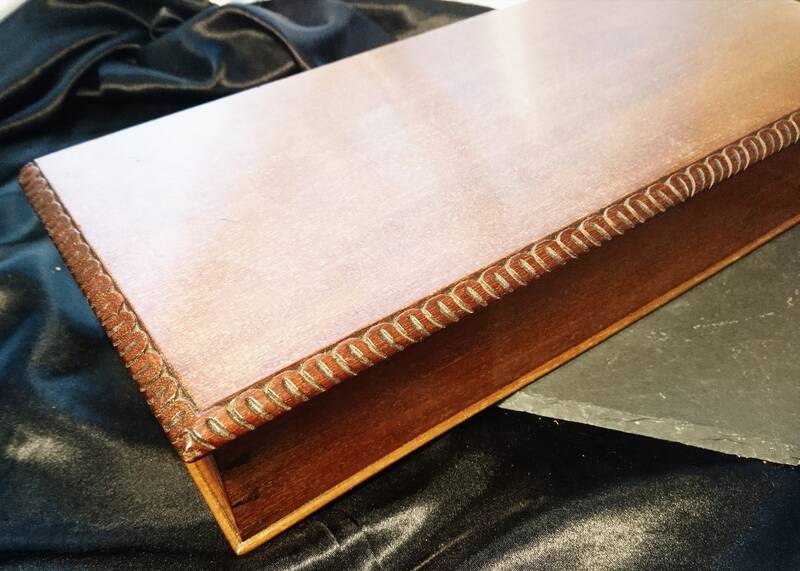 The entire box is made from good solid mahogany and the patina is perfect, lots of lovely grain can be seen and it is a very well made and decorative piece. 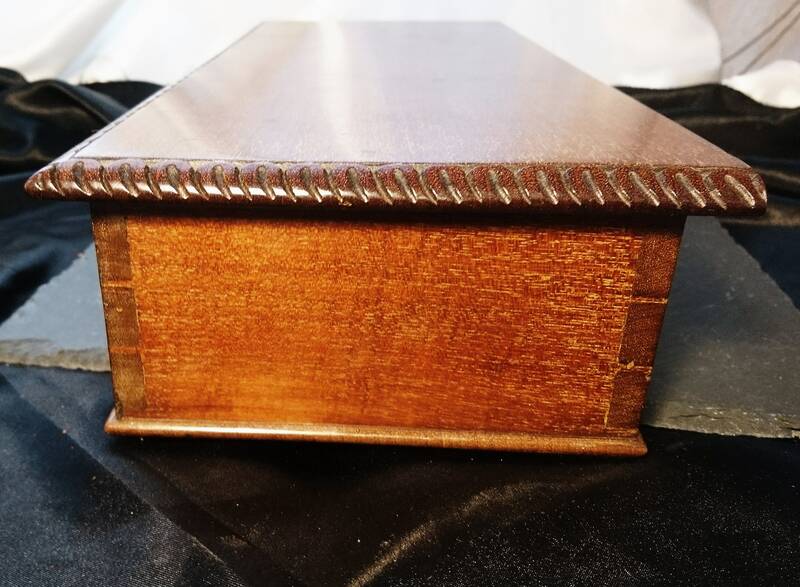 Of course it could be used for any desired purpose, it would make a beautiful jewelry or sewing box. 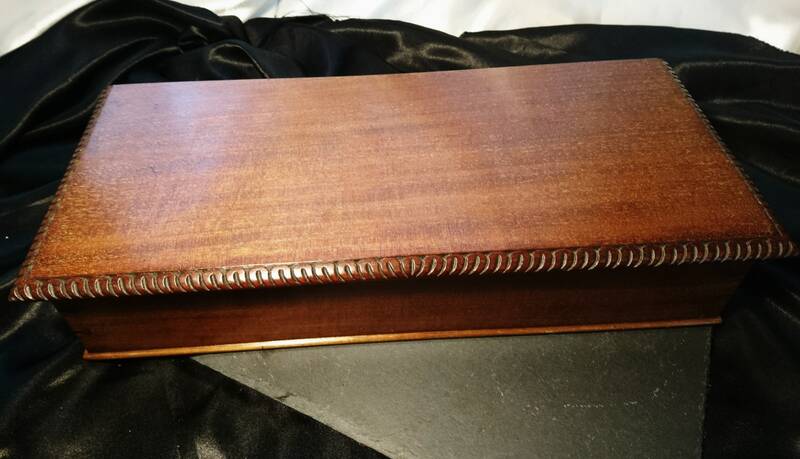 It has been relined beneath on the base with a green felt. 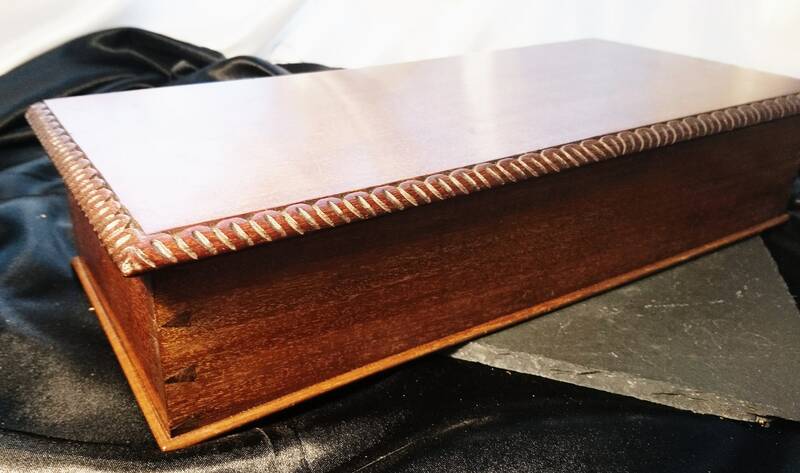 It is in very good antique condition.